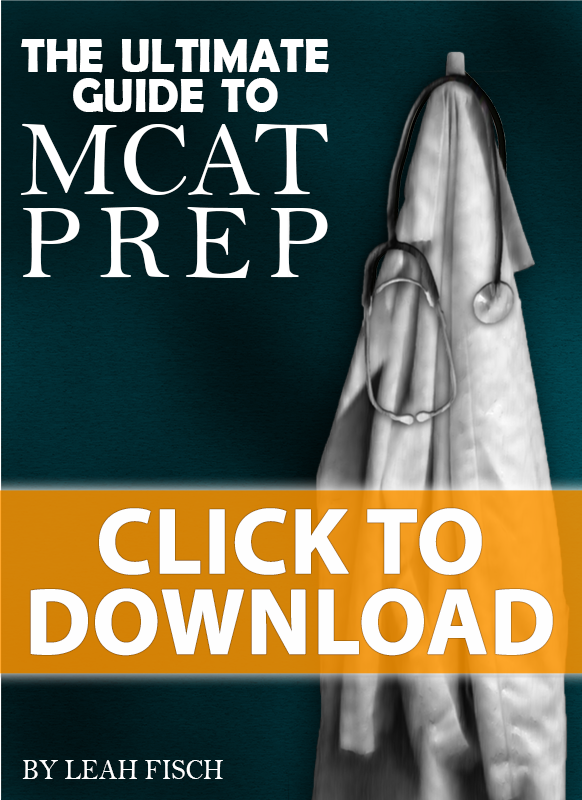 There’s a ton of generic and conflicting advice out there regarding MCAT prep. Whether it be from inferior articles, ill-informed advisors, non-premeds who’ve ‘heard from somewhere’ or ‘from someone’, and even from friends who took the old exam and don’t realize you’re preparing for a 7.5 hour monster of a test. 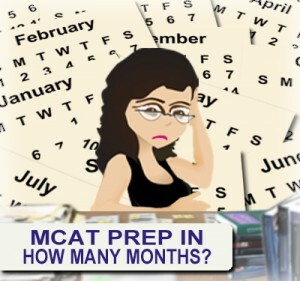 A student recently shared an article from USA Today outlining a 3-month MCAT study plan, which she followed… with disastrous results. With so much conflicting information floating around, how do you know how much time you REALLY need? The short answer is that there’s no one-size-fits-all approach. Instead, I’ll attempt to break it down and help you figure out what is best for YOU. How you break up the 500 hours depends on how much time you can dedicate per day/week without burning out. For example, in a recent interview with the girl who scored a 518 you’ll see that she only studied for 3 months. She’s an extreme case and most students WILL burn out when trying to cram as she did. She nearly burned out too. When setting up Strategy Sessions for my MCAT students and Study Hall Members, I like to organize the MCAT prep process in 3 phases. You MUST give yourself enough time to review and, somewhat master, content before moving on. Simply reading the chapter doesn’t count. I recommend following my 5-Steps to Mastering the MCAT Sciences. Are you really getting the most out of your study time by doing a complex passage on torque PRIOR TO UNDERSTANDING TORQUE?? Give yourself enough time to learn and understand the information BEFORE you start heavy practice. I include an outline of what I believe are ideal lengths for content review based on different students’ learning habits later in this article. Phase 2 is where you start to practice MCAT material, especially full-length exams and passage-style questions. Phase 2 should last a MINIMUM of 4 weeks, but up to 8 weeks is typical. This is when you work through passages and REVIEW information related to the questions you missed by taking a full-length test every 2-3 weeks. Only by answering questions and then GOING BACK AND STUDYING the topics you missed will you REALLY develop MCAT/Passage mastery. Taken a handful of full-length practice MCAT exams to get familiar with testing style, duration, endurance, AND of course, taken the time to review your weak areas. This is the final 4-6 weeks before your MCAT when you sit through a weekly 8am full-length practice MCAT. Your entire week is devoted to dissecting that exam, studying what you missed, and analyzing your strategy/approach/endurance to help you earn just one more point per week. Then there’s life, family, work, classes, emergencies… and everything else to take into consideration. 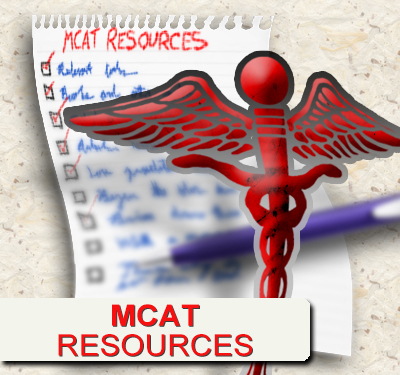 As an MCAT tutor I’ve worked with thousands of pre-med students over the past decade. I’ve noticed that students fall into different categories. Each type of student requires a different amount of study/prep/review time. Don’t worry if you don’t exactly ‘fit’ into one of these categories. Just use this as a general guideline. Some students are really good at taking standardized tests. They just study the material, practice for a bit and ace the exam. These students remember nearly everything from science class and can zip through Phase 1 in record time. These students still need a few weeks each for phase 2 and 3. This includes perhaps 1-2% of students. It’s ok to hate them (kidding). Let’s face it, you don’t NEED every undergraduate MCAT science course to be successful on the MCAT, but EVERYONE winds up having to re-study some content they once knew well.That being said, if you’re a top student who scored A’s in most of your sciences classes AND you remember much of that information,you will NOT have to focus as much time on pure content review compared to most students. You’ll still have to review EVERYTHING, but chances are you’ll get through the topic of acids and bases in just an hour while the average student may require 3-6 hours on this topic alone. Instead, your focus should be on heavy passage practice and full length review. The “average” student is well, average. But that’s not a bad thing! “Average” refers to the student who has to work for their good grades; the student who may not get it right away. This student works really hard to pull off an A.
I’ve come to realize that the average students tend to outperform the above 2 categories. Because they KNOW AND UNDERSTAND WHAT IT’S LIKE TO WORK REALLY, REALLY HARD! If you’re a proud average student, be sure to give yourself ample time for MCAT Phase 1. This can range from 2 months of full-time MCAT study to 4 months of part-time MCAT study just for content review. You’ll then have to focus on passages/practice questions (phase 2) and of course, full lengths (phase 3). I recommend 6-8 months TOTAL prep for the average student studying 20+ hours per week. Perhaps you haven’t been pulling all A’s in college. Perhaps you’re the student with a lower GPA who either didn’t apply him/herself consistently throughout college, or simply didn’t get the information at the time. Perhaps you’re the student who hasn’t taken a certain class/subject. As you study for the MCAT you have to treat the material as if you’re learning it all for the first time. And since you’re MCAT prep is brand-new learning rather than review, you’ll need the most time to prepare. I’d recommend a solid 3-4 months of full time content review or 4-6 months of part time content review. This should be followed by passage practice and full length review. Now before you set your calendar in stone, keep in mind that life happens. Give yourself a few flexible days/weeks to take care of emergencies that pop up. I’ve worked with students who have had to deal with everything from illness, death in the family, relationship drama, car/house trouble, and so much more. Sometimes you can’t just push these things aside. Sometimes you can postpone by a month or so, sometimes you may need to postpone for an entire year. But if your dream is to become a doctor, and acing the MCAT is your next hurdle, then you WILL find a way to get there, no matter how long it takes. Because trust me, it will have been worth it in the long run. I’m curious, what is the craziest MCAT advice YOU’VE heard? Let me know in the comments below. You’re very welcome for the resources. Thanks for taking the time to comment! Can you recommend some study books besides your awesome videos? Hey Leah, I was wondering if your MCAT tutorial videos could still be used for the new MCAT format? This was great advice. Thanks for sharing. Thank you! Glad you found it helpful. The key is customization to YOUR needs. I’m considering purchasing the Berkeley Review MCAT books, what do you think? Best MCAT advice I’ve ever heard. Thanks Leah. You’re very welcome Nnaemeka. The real question is, did you implement this yet?